Training provides the foundation so we can all speak the same language and understand the core concepts. Technologists need a solid education focused on context (the "why") and learning by doing (the "experiences"). Consulting picks up where training leaves off. We support and advise our customers as they develop and deploy real solutions that impact their business. As pioneers in immersive, hands-on training we are uniquely positioned to educate your teams on effective, resilient scaling of cloud-native capabilities. Our engineers don't just talk the talk, but we regularly walk the walk. We are experts because we have done it and we share our experience with you. We believe strongly in the importance of personas - understanding our audience and crafting offerings accordingly. Developers are creators and need to make good decisions and reason over domains beyond just the platform. Our students learn by doing. You won't find exercises where you can cut and paste your way to the answer. Exercises provide experiences where students directly apply what they have learned. Are your development teams struggling to fully embrace the changes needed to deliver quality software to production many times per day? Are you struggling to effectively onboard and empower your cloud native developers? These aren't uncommon challenges. While the platforms of today provide unprecedented levels of automation and convenience, roll out in the enterprise still leaves many unanswered questions and challenges. Our cloud native release automation workshop shows you how to empower developers while meeting quality, compliance and security requirements. This workshop covers the principles of continuous integration and continuous delivery while providing hands on experiences in holistic, enterprise software development lifecycles. 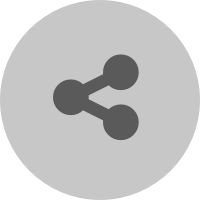 Are you looking to build (and modernize) cloud-native applications using Spring? If so, this immersive class is for you. You will learn how to build highly scalable, resilient microservice architectures with Spring and Cloud Foundry. We leverage Spring Boot, Spring Cloud, and Netflix OSS. This course introduces students to guiding principles of application replatforming and modernization as well as greenfield development of new microservices. During the course, students implement a small microservice architecture complete with centralized configuration, service discovery, circuit breakers and basic monitoring. This course involves coding and leverages Cloud Foundry as the deployment platform. Students are expected to have Spring experience and be competent Cloud Foundry users. This course provides a comprehensive, hands-on introduction to the Cloud Foundry platform from a developers perspective. This course is based on the official Cloud Foundry for Developers training course from the Cloud Foundry Foundation. As co-authors of the official course, we have further refined the materials to better suit our customers' needs. While the course is designed for developers using Cloud Foundry, we recommend others attend as well. We encourage operators to learn how developers interact with the platform and even encourage high-performing sales and engagement managers to attend the course to understand the competitive advantage Cloud Foundry can provide their customers. The course does not involve coding and is programming language agnostic. We work collaboratively with our customers to solve problems and ensure projects are a success. Our focus is helping you improve and grow your capabilities. Our focus is not to do the work for you. We aim to transfer knowledge and continue educating and supporting our customers, while working on solutions. We continue where traditional training leaves off. Whether architecture, planning, pairing or workshops we share our expertise and experience while also solving your unique challenges. We have deep expertise in cloud native architecture and implementation. We focus on technologies including Cloud Foundry, Spring, BOSH, containers and Concourse. 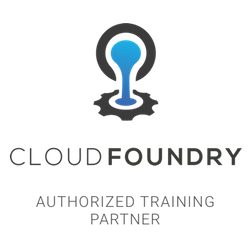 We are an Authorized Training Partner of the Cloud Foundry Foundation. We are the technical advisors for the Cloud Foundry Foundation's Developer Certification. 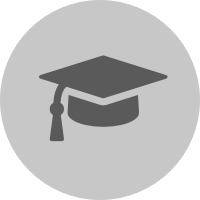 We co-authored the Cloud Foundry Foundation's Developer Training course. We are a Silver Member of the Cloud Foundry Foundation. Steve is proud to be a Cloud Foundry Ambassador. Steve has been working with the Spring for over a decade. He built and donated the original project which has since become the Spring Cloud Open Service Broker Service Broker project.